Join some of BC’s finest animation creatives for an engaging session offering insights into the animation industry, insider tips and an opportunity to connect with the animation community. Michael Fukushima (Executive Producer, Animation Studio, National Film Board of Canada) and Shirley Vercryusse (Executive Producer, BC & Yukon Studio, National Film Board of Canada) join Ann Marie Fleming and Kevin Langdale as they share their experiences with the making of Window Horses, focusing on the process of creating a micro-budget, animated feature film. The day will culminate with a screening of Window Horses, followed by a Q&A. Through facilitated discussions and Q&As, this masterclass aims to inspire participants with the confidence to take the creative lead on their own projects. 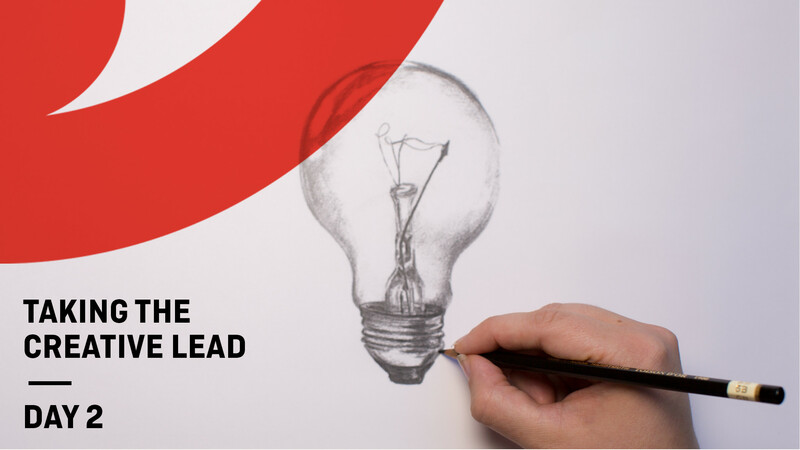 Taking the Creative Lead is presented by the National Film Board of Canada and Creative BC in participation with Drawn Together Vancouver. Please note: Taking the Creative Lead will only be offered in person in Vancouver, BC on November 25 and 26, 2017. This masterclass is not available online and registration does not include options for virtual participation. Ann Marie Fleming, Kevin Langdale, Shirley Vercruysse, Michael Fukushima. Written and directed by award-winning filmmaker Ann Marie Fleming, Window Horses is a feature animation about love—love of family, poetry, history, culture. Rosie Ming, a young Canadian poet, is invited to perform at a poetry festival in Shiraz, Iran, but she’d rather go to Paris. She lives at home with her over-protective Chinese grandparents and has never been anywhere by herself. Once in Iran, she finds herself in the company of poets and Persians who tell her stories that force her to confront her past: the Iranian father she assumed abandoned her and the nature of poetry itself. The film is about building bridges between cultural and generational divides. It’s about being curious. Staying open. And finding your own voice through the magic of poetry. Taking the Creative Lead is presented in participation with Drawn Together Vancouver. Originally from Ireland, Eoin Duffy is a Vancouver-based writer and director of animated films. He studied Visual Communication at the Dublin Institute of Technology and worked as a graphic and web designer before transitioning to animation with his 2012 short film On Departure. Influenced by a variety of visual traditions including art nouveau, comic books, futurism, and cubism, Duffy’s signature style blends clean lines and colourful graphics with a humorous approach to dark and complex themes like grief, fear, human relationships, and the nature of life and death. In 2014, Duffy’s short animation The Missing Scarf was shortlisted for Best Animated Short at the 86th Academy Awards and nominated for Best Short Film at the 27th European Film Awards. His films have received international accolades, including awards at the San Francisco International Film Festival, Savannah Film Festival, Valladolid International Film Festival, and many others. Duffy’s most recent film (produced by the National Film Board of Canada) I AM HERE, is the story of a man who travels the universe for trillions of years in search of its origin. The film is currently screening at festivals around the world. David Fine & Alison Snowden are the creators of the TV series Bob and Margaret and the kids’ series Rickey Sprocket – Showbiz Boy. They also made the Oscar-winning short Bob’s Birthday (produced in collaboration with the National Film Board of Canada), as well as a number of other award-winning shorts and TV ads. They have written for other series, including Peppa Pig. They also developed the series Shaun of the Sheep for Aardman and created the character of Timmy, who went on to have his own show. After living and working in London for nineteen years, they moved to Vancouver in 2004, where they made the TV series Ricky Sprocket. Alison and David are currently in production with NFB Animation on their new series, Animal Behaviour. Ann Marie Fleming is an award-winning Canadian independent filmmaker, writer, and artist. Born in Japan to Chinese and Australian parents, Fleming creates work that addresses themes of family, identity, history, and memory. She adapted her 2003 animated documentary The Magical Life of Long Tack Sam into an Eisner Award-nominated graphic novel in 2007, and has followed with a number of acclaimed short films, also produced by the National Film Board of Canada, including I Was a Child of Holocaust Survivors (2010) and Big Trees (2013). In 2009, Ann Marie created the animated web-series My Place for Discovery USA’s Planetgreen.com. Her latest project is Window Horses, a feature-length animated film about a young Canadian poet discovering her family history. Kevin Langdale graduated in animation from Emily Carr University of Art and Design in 2001. He began working with the National Film Board shortly after in their Hothouse Animation program. Kevin made his first film, award-winning Engine 371, with the NFB the following year. After a brief stint in the animation industry, Kevin continued working independently as an illustrator and animator. Since then, he has worked on a number of independent animations, most frequently with independent Canadian film maker, Ann Marie Fleming. Animated films and shorts have included The French Guy Movie, I Was a Child of Holocaust Survivors, Big Trees, Stories Sarah Tells, and most recently, Window Horses, a feature-length animated film for which Kevin was the lead designer and animator. Kevin lives in Squamish B.C. and works with Global Mechanic Media. Shirley Vercruysse is the Executive Producer of the National Film Board of Canada’s Pacific & Yukon Centre, based in Vancouver, BC, where she leads the team producing documentary and animation projects. The studio’s latest projects include the feature-length musical documentary The Road Forward (Marie Clements); the animated feature Window Horses (Ann Marie Fleming), co-produced with Stickgirl Productions, and the animated shorts I AM HERE (Eoin Duffy) and The Mountain of SGaana (Christopher Auchter). Projects currently in production include the mid-length documentary Beauty (Christina Willings) and the animated short Shop Class (Hart Snider). Michael Fukushima has been making films since 1984. He joined the NFB in 1990 to direct the animated documentary Minoru: Memory of Exile (1992), winner of the Hot Docs Best Short Documentary award. Michael became an NFB animation producer in 1997, co-founding the NFB’s flagship emerging filmmaker program, Hothouse, in 2002, and opening up the studio to new audiences and new technologies with a move towards urban and diverse stories and creators. He was appointed executive producer of the NFB’s fabled Animation Studio in 2013. Michael now mostly produces the producers and offers up sagacity, but he continues to keep his hand in — this year, on the first short film in two decades by Oscar winners Alison Snowden and David Fine, and on Oscar winner Torill Kove’s next short film.